Shane's Inspiration, an international nonprofit dedicated to creating inclusive playgrounds and educational programs that foster social inclusion for children with disabilities, is hosting its 16th annual fundraising gala on Saturday, March 4, 2017. The Cuban cabaret-inspired “A Night in Old Havana” theme will recreate the romance and intrigue of a bygone era and will feature celebrity red carpet arrivals, cocktail reception, live/silent auctions, dinner, dancing, awards program, live entertainment and much more. 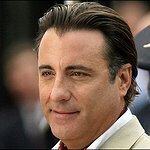 Award-winning actor and musician Andy Garcia will serve as the Master of Ceremonies, adding to a spectacular evening of nostalgia and philanthropy. Honorees include Scott Silveri, Creator/Producer of the television show “Speechless”, Georgianna Junco-Kelman, Special Education Attorney, and Dee Summers Stajcer, volunteer extraordinaire. VIP guests scheduled to attend include Pauley Perrette (“NCIS”), Joe Mantegna (“Criminal Minds”), Danny Pino (“Law & Order: SVU”, “Cold Case”), JK Simmons, (“The Accountant,” “Whiplash”), Alex Band (lead singer for The Calling), Jordi Vilasuso (“Days of Our Lives”), Madison McLaughlin (“Arrow,” “Chicago PD”), Sonia Rockwell (ABC’s “American Crime”), Cree Cicchino (Nickelodeon’s “Game Shakers”), Micah Fowler (“Speechless”), Mason Cook (“Speechless”), Howard Barrish (producer of “13th”), Monica Potter (“Parenthood”), Leigh & David Koechner (“Anchorman”, “SNL”, “Superior Donuts”), Jill Hennessey (“Crossing Jordan”), Alicia Machado (former Miss Universe/media personality), Jamie Brewer (“American Horror Story”), City Attorney Mike Feuer, and many others. Past Celebrity Gala Supporters have included Sean Hayes, Kaley Cuoco, Jerry O'Connell, Rebecca Romjin, Paula Abdul, Halle Berry, Jamie Lee Curtis, Kathryn Hahn, Laura SanGiacomo, Dakota Fanning, Ben Vereen, and Michael Chiklis – just to name a few. Funds raised from the “A Night in Old Havana” gala will support the costs associated with Shane’s Inspiration’s programs that teach compassion and acceptance towards people with disabilities. Through the My Playground catalyst program, Shane’s has opened 63 inclusive playgrounds to date throughout the U.S., Mexico, Canada, Israel, Russia, and Ecuador, with 75 additional projects currently in development. The impact of the Together, We Are Able ability awareness education program, ordered by educators in over 65 countries, and My PlayClub community outreach program, which brings children of all abilities together at Shane’s inclusive playgrounds, has impacted the lives of nearly 40,000 children worldwide.